Effective management of office supplies can save money as well as help to keep it running smoothly. If you are planning to set up business in the Czech Republic you will probably need to use office supplies and equipment. 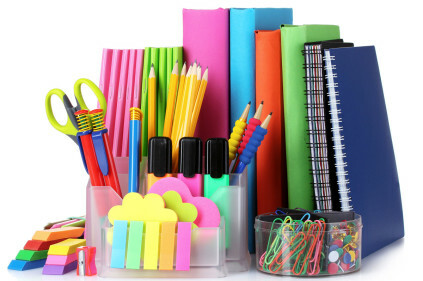 There are lots of different types of supplies according to the type of the business you own, from small items like pens and paper to large long-term items like computers, furniture and safety equipment. The majority of these are fundamental to daily business operations. There are several ways to obtain office supplies in the Czech Republic, but the most common methods are from retail outlets, online outlets, and mail order or even through a purchasing company. If you can’t find a reliable supplier overseas, many companies will be happy to deliver internationally. Retail outlets. You will find many local shops that can help you. Buying your office supplies from a shop means that you can physically see what you are buying before you buy it. Retailers commonly sell equipment at a standard price as they are aimed at smaller businesses and individual customers. However, some stores can offer bulk or business discounts. Online. Recently, the number of online office supply stores selling specifically via online and telephone orders have increased remarkably. Online retailers are cheaper than shops. However if you are uncertain about an item you are buying, there is no way of physically examining it. You will have to rely only on the retailer’s description and photographs. Mail order. Many firms are offering to buy office supplies by mail order or telephone. A lot of them will have catalogues that show you all of the products they sell. Mail order costs are less expensive than shops. However, like online buying, there is no way for you to examine the item. Comments to "Office supplies in the Czech Republic"